Part of the attraction of riding a bike is being in touch with the elements around you, not cut off in a little steel box. But one of those elements, wind noise, can be distracting and damage your hearing in the long-term. 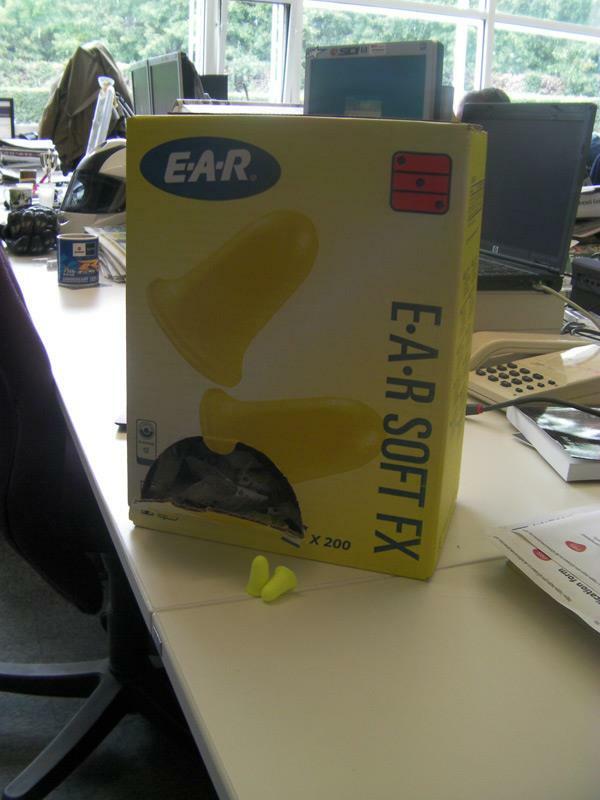 So, ear plugs that cut down the decibels are important, but it’s vital that you fit them in your ears properly. The most popular ear plugs are made of foam, some like a little oil barrel so they are reversible, others in more of a cone shape. Whichever type you use it is really important that you roll your ear plug up slowly into a very compressed cylinder, squeezing your fingers together hard so that it becomes smaller and smaller as the foam compresses. Once it is ready, keep it between your finger and thumb and use your other hand to pull your ear lobe up and outward so that the ear canal is straighter and the plug can get further in. Feed it in quickly and allow it to expand. The end of the plug shouldn’t protrude out into the ear lobe. If it does, you need to start again and roll it up tight enough allow it to expand to fill the canal.